Spies have again witnessed Fiat Punto facelift going through test drives under high camouflages, but still they succeeded in capturing some of the clues about the facelift changes which will be introduced in facelift Puno. It is reported that this time the refreshed version of Punto was equipped with set of new alloy wheels. This is an indication this time the Punto will undergo huge cosmetic changes as compared to erstwhile facelifts. It is speculated that facelift Punto will also carry headlights as offered in Avventura. With this it is also speculated that with an objective to give the hatchback sportier look Punto facelift will receive refreshed bumpers at both front and rear side. Apart from this it is also speculated that facelift Punto will also go through various internal cosmetic changes to make it completely a refreshed version of Punto. As far as technical changes are concerned there will be no changes in existing engine configurations of 1.2 litre petrol and 1.4 litre petrol engine in petrol version and 1.3 litre Multi jet diesel engine. Both variants will be coated with five speed manual transmission system. It is expected that Facelift Punto will make its debut in Indian car market sometimes during the month of June this year. The facelift Punto will compete against Maruti Suzuki Swift , Hyundai i20 and Volkswagen Polo. After Punto the next initiative from company would be Fiat Abarth 500 followed by Fiat Avventura which again would be based on platform of its elder sibling Punto. To know more about facelift Punto keep reading carkhabri…. 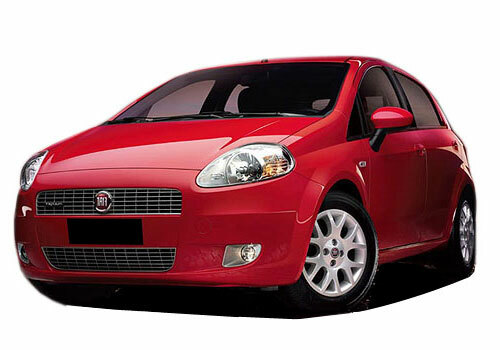 Click here to know more about features existing in Fiat Punto. Fiat to launch sub Punto Car!